Tyrene played basketball as a junior, representing Darebin at VJBL level for 3 years. Tyrene has been involved in basketball for 17 years at Bellarine, both as a coach, referee and Competition Manager. She has been coaching VJBL basketball for 10 years, and is currently the head coach for the under 12 boys 2 team. In 2011, she led her under 16 girls team to a VJBL Region 1 championship. Tyrene is heavily involved in coaching in Bellarine’s domestic competition currently coaching under 12 and under 17 girls’ teams. She also assists with coaching our domestic and representative training programs. We welcome Grahame to the Storm program, and are excited about what he has to offer. Grahame has an impressive resume in coaching and junior basketball development, and has also held a number of positions in basketball administration. Howard played basketball during his latter high school years and in the Men’s grade for several years in his 20s at several Melbourne Clubs. The basketball passion was fuelled with a work secondment to Chicago which coincided with the NBA Chicago Bulls 3 – peak years of 1991 to 1993. Having moved to the Bellarine Howard’s son began playing domestic basketball with BPBA and Howard has coached this team over 10 seasons from U10 to U16. During this time Howard has completed coaching clinics with NBL and Australian representative coaches. Howard was understudy as an Assistant Coach for Storm U14 (2) Boys in season 2016 alongside a 25 year veteran Melbourne coach before coaching the Storm U16 Boys team in season 2017. Bellarine Storm would like to announce the appointment of Paul Gundry as the under 18 boys Head Coach for the 2017/2018 season. Paul has been coaching Representative basketball for 5 seasons having made the transition from Corio Bay after 3 seasons. In his two seasons at Bellarine he has taken his team to consecutive finals at Victorian Country Championships finishing runner up in 2016. Leigh Allan will be in his second year of coaching at Bellarine Storm, last year he was involved as an assistant coach with the under 18 boys team under the guidance of Olympian, Peter Byrne. Prior to moving to Storm, Leigh coached for two years at Corio Stingrays, firstly as an assistant coach for the under 16 boys and secondly as the head coach of the under 18 boys. Leigh has also been coaching domestic basketball for at least 15 years and Bellarine Peninsula Basketball and Corio basketball. As well as his basketball coaching experience, Leigh has many years’ experience coaching junior and senior level cricket. We are excited to have Leigh join Bellarine in the capacity of Head Coach for our under 20 men’s team. Rob started coaching basketball 30 years ago when his children began playing. Back in the day, both he and his wife drove all over the country side for their kids’ basketball. Since then, he fell in love with the game and has been coaching ever since. He is fortunate that coaching has given him the chance to travel Australia, meet lovely people and most of all watch the players develop. He enjoys watching his grandchildren play and when his son coaches against him. 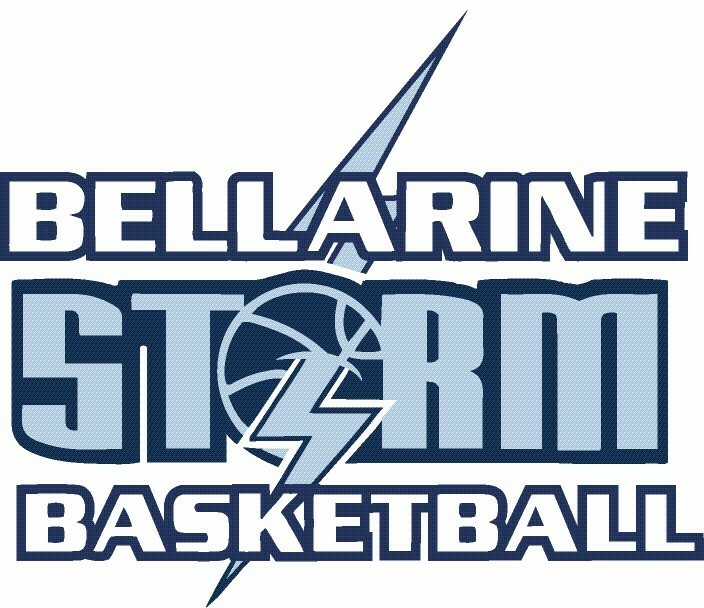 In the 2016/2017 VJBL season Rob coached the Bellarine Storm Under 12 B girls in his first year at the Association. Rob speaks highly of the program stating that, “I am thoroughly enjoying my time at Storm, the family atmosphere, the professionalism and the support from Nat (High Performance Manager). I am lucky to have an amazing bunch of parents and kids willing to learn. Although it is becoming harder to get up and down the court, my love for the game has not changed. I am showing my age as I am now coaching second generation players”. Paul has been involved in basketball since the age of five. As a player he represented Swan Hill and Eltham Wildcats, winning three Country Championships during that time. He played C.V.I.B.L. (a version of Big V) with Swan Hill and also represented Country Victoria in the country cup. Paul is an experienced basketball coach, having coached underage rep teams in Swan Hill, school teams from zone up to National level, and a number of domestic teams. Paul made his coaching debut with Bellarine Storm in 2013. In 2015, he guided the under 12 boys’ team to a Victoria Country Championships gold medal. In 2017, Paul has had a successful season with the Bellarine Storm under 12 girls who competed in the VJBL Metro 1 competition. This year he coached one of the u/14 boys Country Victorian teams at the Southern Cross championship in Melbourne. Brendon Matthews is the Girls Coaching Director at Bellarine Storm basketball and the most winningest coach the program has ever had. He is arguably the best junior coach in the Geelong region, having qualified teams to VC for nine seasons, attending the National Classic on six occasions and the under 14 nationals on one occasion. In 2016 and 2017 Brendon led the under 18 Storm team to win back to back Victoria Country Championships. Brendon has an impressive list of achievements for a coach who continues to work tirelessly in his 11th year in the Storm program. Born in Melbourne, Peter started playing Basketball for the Melbourne Tigers Under 13 team coached by Ken Watson. As a junior he played on 2 Under 16 Victorian State Teams and 2 Under 18 Victorian State Teams (including captaining the first Victorian Team to win the Under 18 Australian Title) and also won the first unofficial Australian High School Championship with Box Hill High School. At 16 he was the youngest player to be selected on the Victorian Senior Mens State team. As a senior he was a member of the very successful Melbourne Tigers club and was involved in several successful Victorian, SEC and Australian Club Championship Teams. In 1968 he was selected to represent Australia in Basketball at the Mexico Olympic Games, an honour that was repeated 4 years later at the 1972 Munich Olympic Games. After the Munich Olympic Games Peter stayed on in Germany and was the first Australian to play Professional Basketball in Europe with Bayern Munich and then with ASV Cologne. It was during his studies at Melbourne University that he first took up coaching and guided the Melbourne University Women’s Team to 3 Inter-Varsity Championships. He continued his coaching career in Cologne, Germany. He coached the Cologne Women’s team, going from Second Division to becoming one of the top teams in Germany within 4 years. In 1983 he coached the German Junior Women’s Team at the European Championships in Italy and later took over the Senior Men’s Team in Duesseldorf who were playing in the German National League.